The Chamber’s Hispanic Business Group is comprised of business owners who want to learn more about marketing to the Hispanic population. You do not have to be Hispanic to attend their meetings. Learn about Hispanic marketing trends, participate in business walks to understand the challenges/needs of the Hispanic business community and bridge the gap between business and Latino culture. Members also host an annual dinner to recognize Latino leaders and give out scholarships to Hispanic high school students. 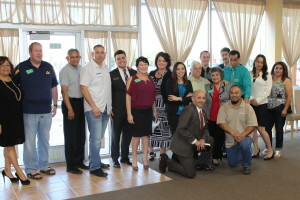 Hispanic Business Group meets the 2nd Tuesdays at 12:30pm at the Chamber.